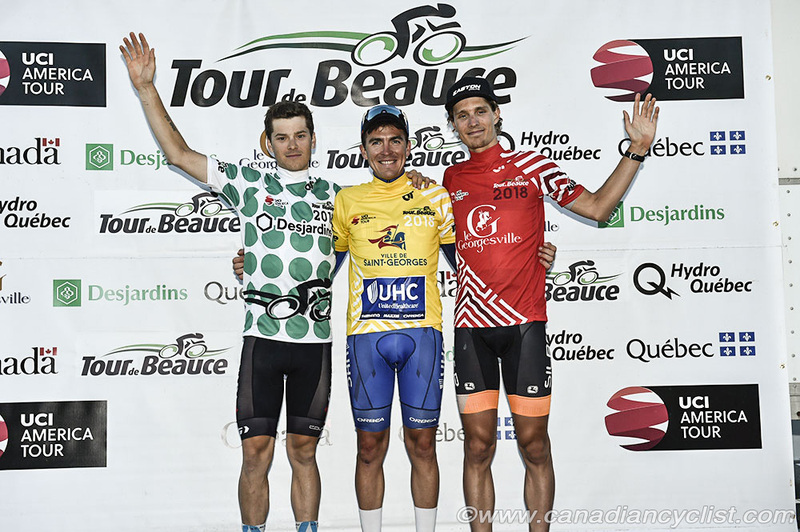 On Friday evening, the Tour de Beauce had the second stage of the day, a 78 kilometres road race that took the riders in a big loop south and east of Saint-Georges before finishing with a steep 1.2 kilometre climb in Notre-Dame-des-Pins, north of Saint-Georges. Despite constant attacks, race leader Serghei Tvetcov's UnitedHealthcare squad kept a tight rein on the bunch, finally allowing two riders to break clear with 30 kilometres to go. Griffin Easter (303 Project) and Jonathan Brown (Hagens Berman Axeon) quickly opened a two minute gap as the field sat up slightly behind them. 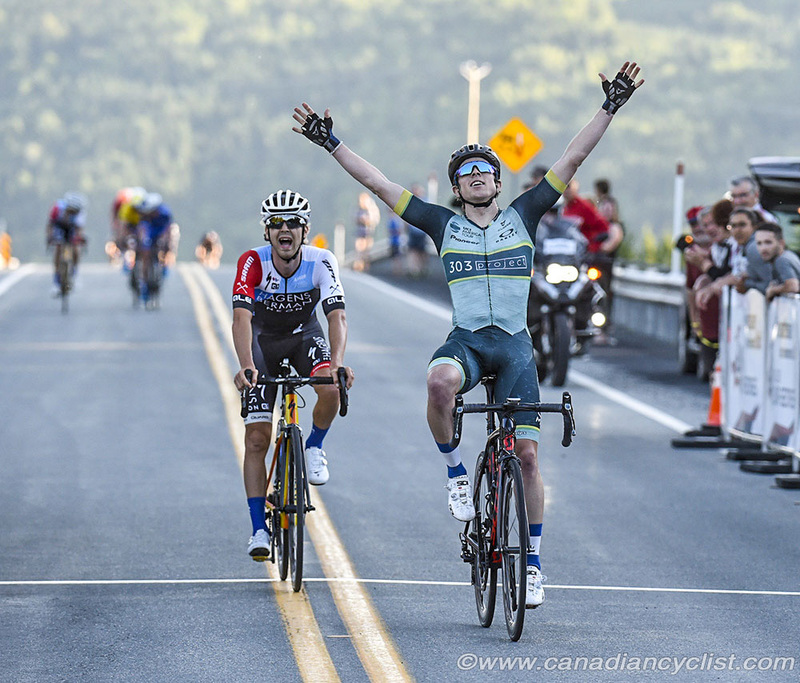 With 15 kilometres to go, the chase began again, and the pair eventually crossed the finish line only six seconds in front of Rui Oliveria (Hagens Berman Axeon) and Gavin Mannion pacing team leader Tvetcov, who padded his lead in the overall standings. The final three kilometres were marred by a bridge under construction, tight and narrow roads leading into the final climb, and 'road furniture' on the course that was not marked. Adam Roberge (Silber) limited his losses by finishing seventh and is 20 seconds back of Tvetcov, Jack Burke (Jelly Belly) who was one of a number of riders who went down hard in crashes, was originally dropped to fourteenth but after officials adjusted the results remains in third on GC and Rob Britton (Rally) is fourth. Tvetcov also took the Points Jersey from Colin Joyce (Rally).